As the account manager, how can I set up a server on a Linux computer for sharing SnapGene licenses among several computers? For this procedure, you must be the account manager for the SnapGene licenses in order to download the install files for the FlexNet Server. 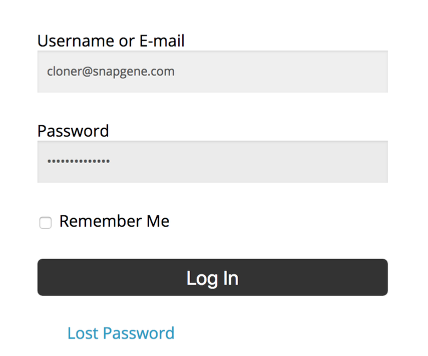 Go to snapgene.com, and click on the Manage My Account link in the upper right corner. The SnapGene team will provide a server installation file. Download the file FLEXnet_GSL_linux.tgz from your account page at http://www.snapgene.com/support/myAccount and save it. To share SnapGene licenses across several computers, first install the FLEXnet License Server on a network computer that will always be available. Create a parent directory if it does not already exist. This creates the directory /usr/local/FLEXnet_GSL_linux, which contains all the server files including an INSTALL file with these instructions. If you have already unpacked the tar file before opening this file, you may simply move the directory FLEXnet_GSL_linux to the desired location. You should only need to import the license once. This script may be executed at startup. The corresponding stopServer script will stop a running server. The server must be started on the command line, but once started can be controlled from the web interface. To administer the server, point a browser to localhost:8090. Click the Administration link at the top right of the window. To sign in, type the default User Name: admin and Password: admin, then click Submit. To change the password, type the old and new passwords, then click Save. To review the current SnapGene license usage, click the Dashboard link, then click Concurrent. The number of licenses in use (and available) will be shown in the In Use column. The dashboard shows license usage. If the computer running the license server restricts access to ports, then ports 27000 - 27009 need to be made accessible to client computers attempting to contact the server. The communication protocol is tcp.